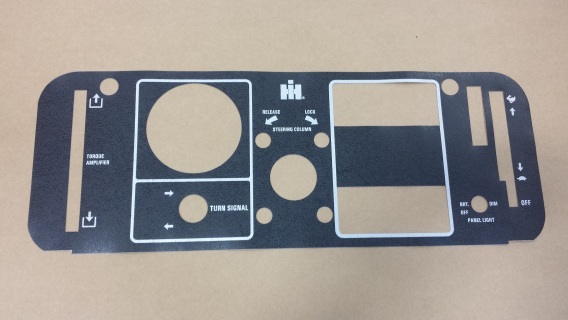 I can supply you with your IH decal needs. 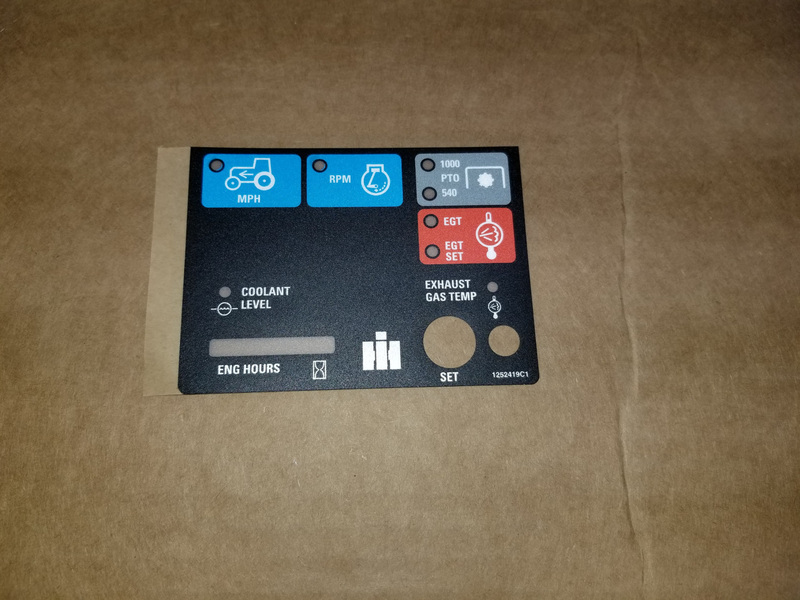 I will be working on this page here and there. 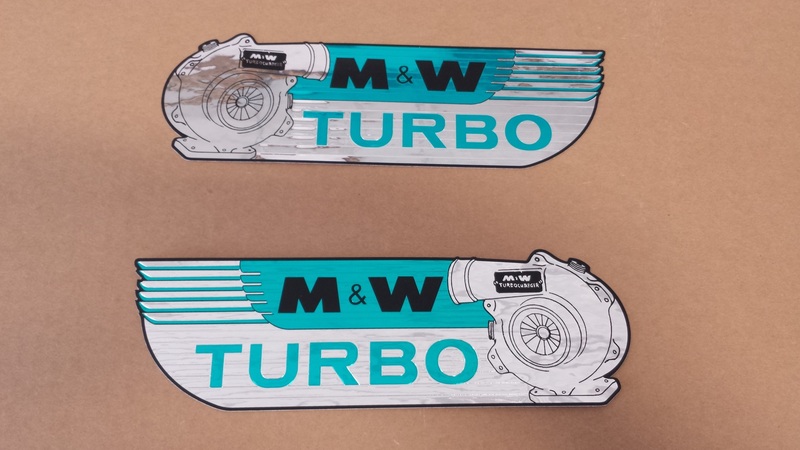 Here are some of the new decals we got done. 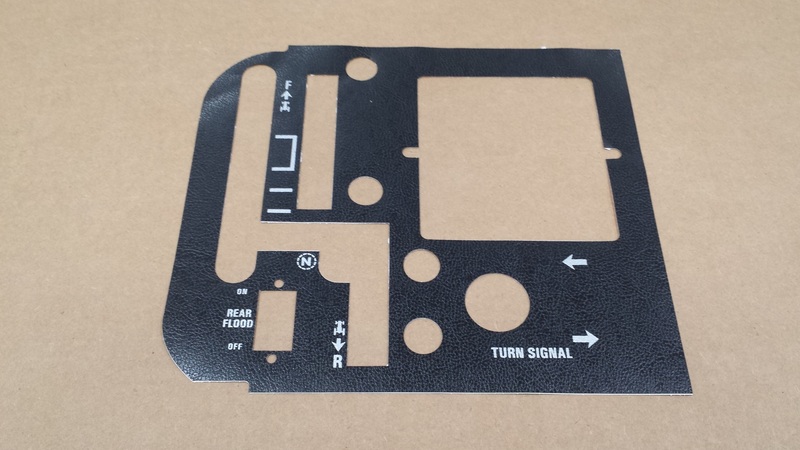 If you dont see what you need call me. 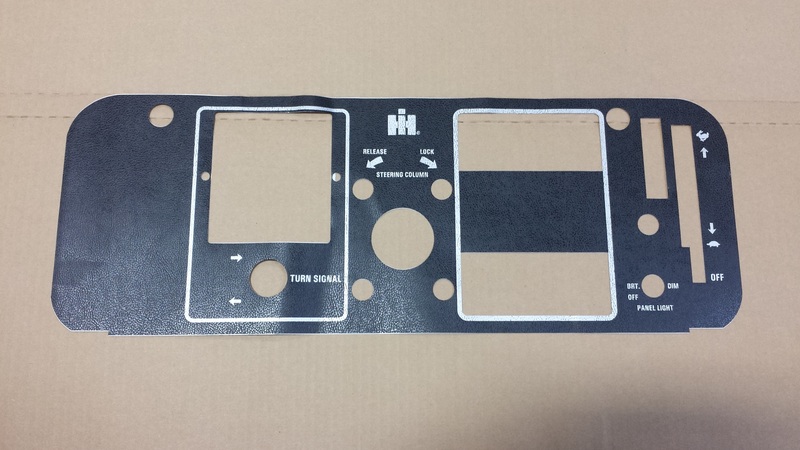 All website orders are shipped free in continental U.S. 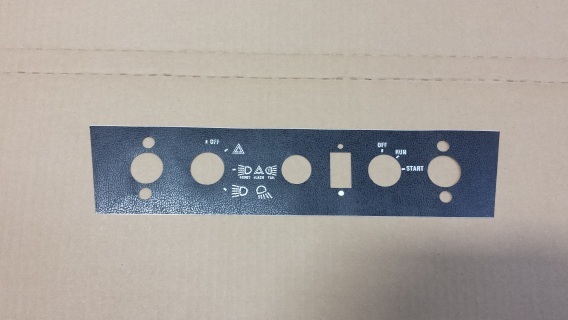 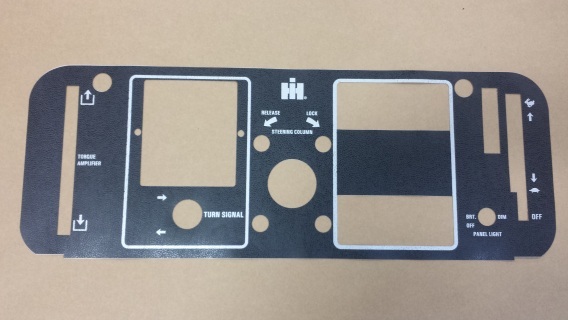 This the lower dash decal around the light and key switch. 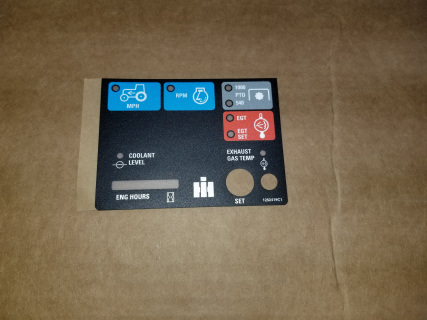 NOTE ORIENTATION OF YOUR SWITCHES. 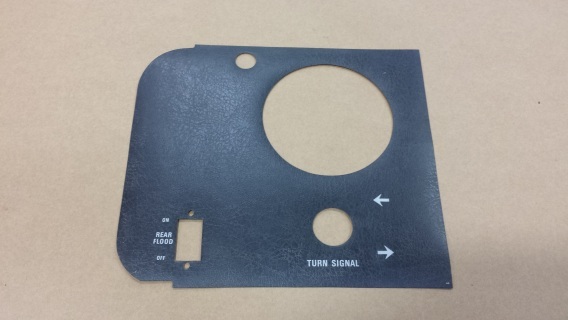 This was used on the 5088 5288 5488 as well as the 6388 6588 6788. This is the right side decal on tilt wheel tractors. 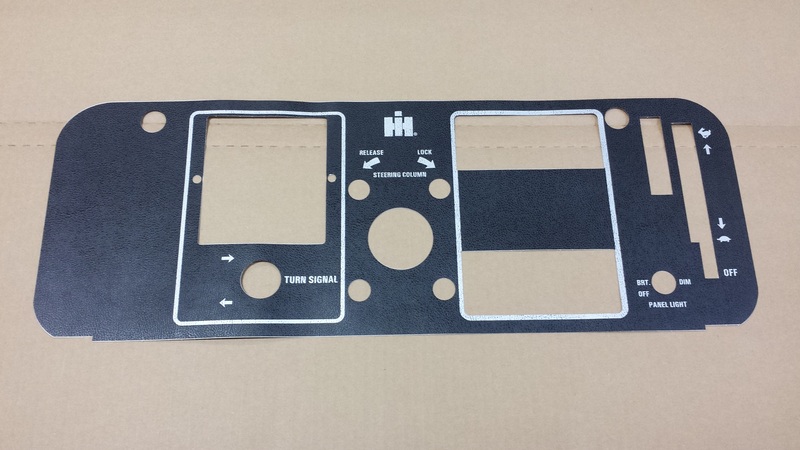 covers all 86 88 and 50 series tractors. 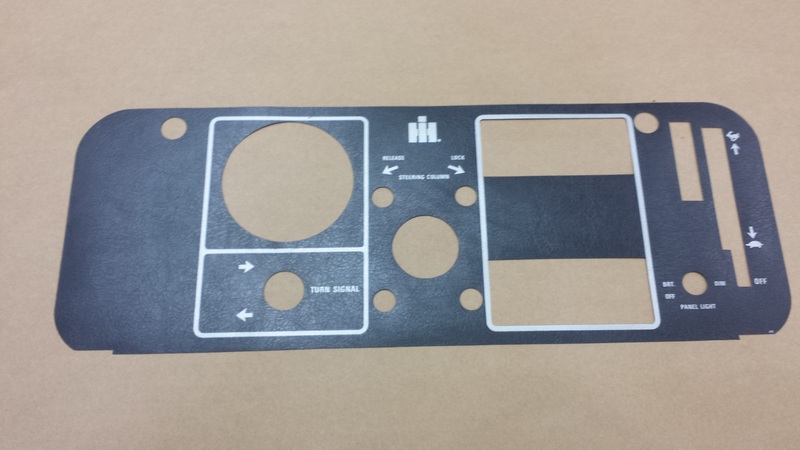 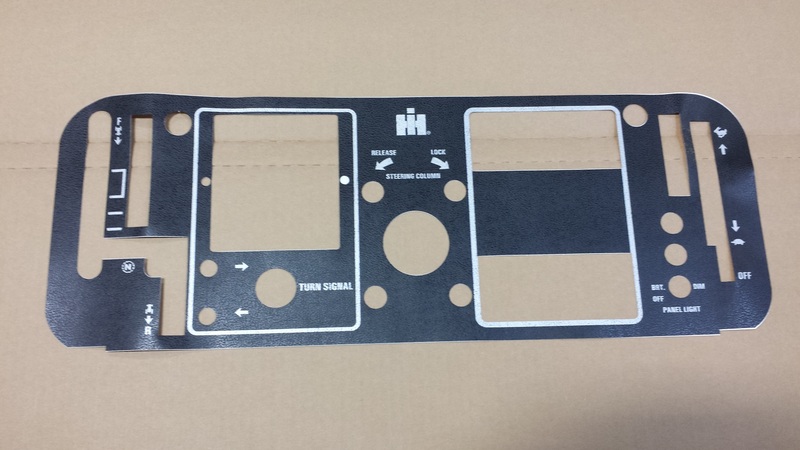 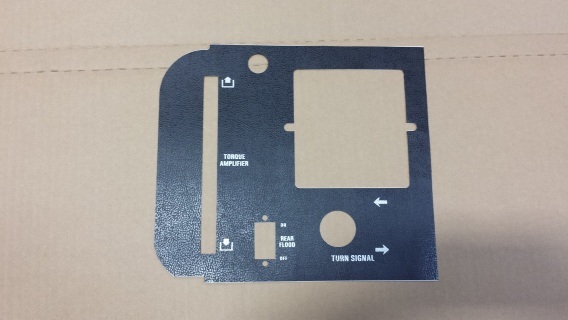 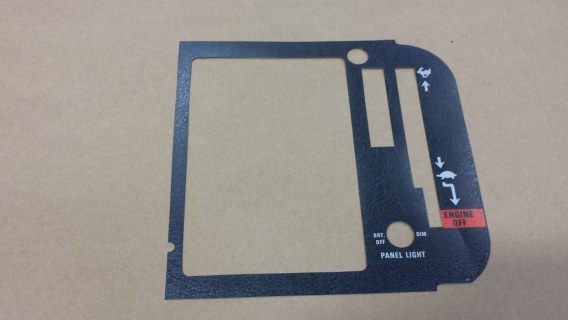 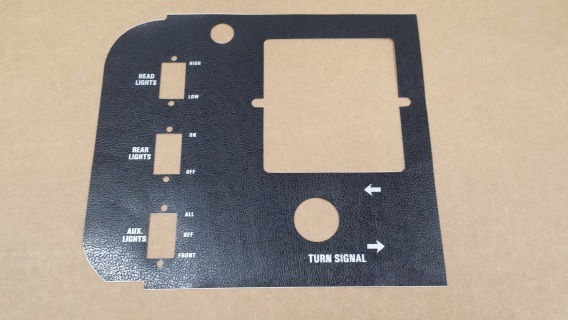 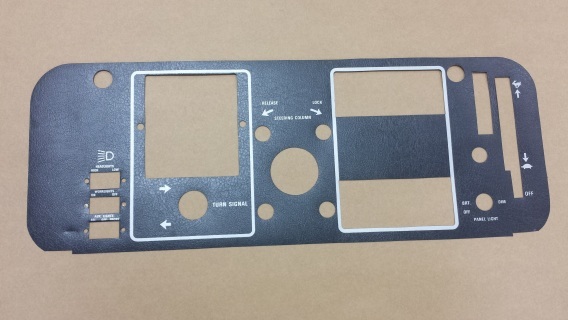 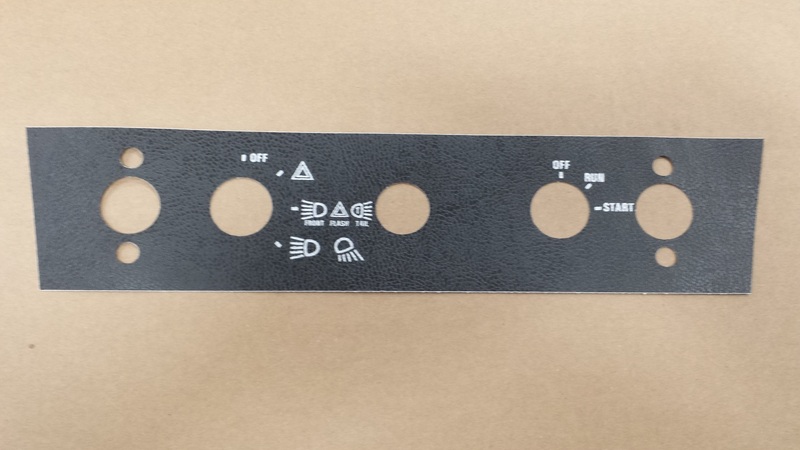 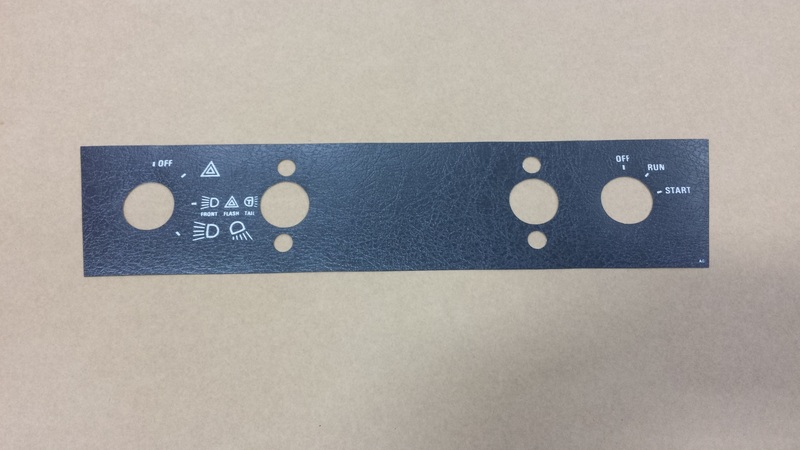 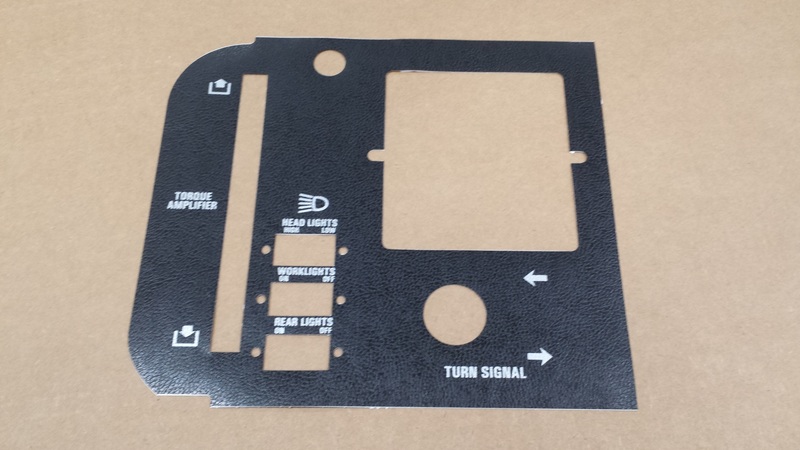 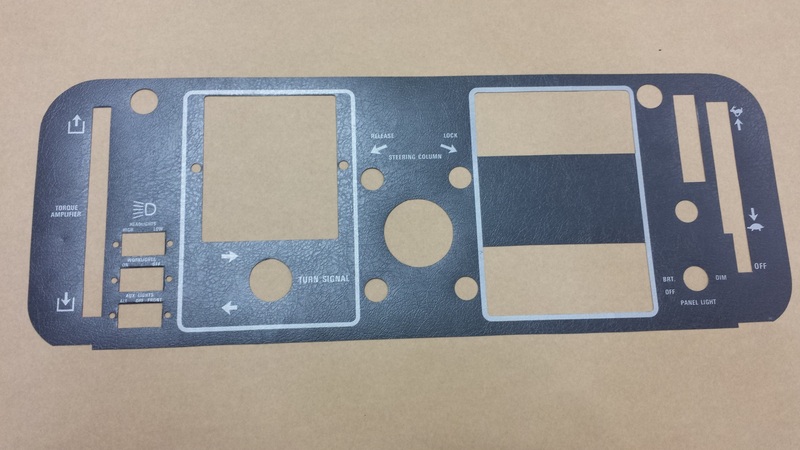 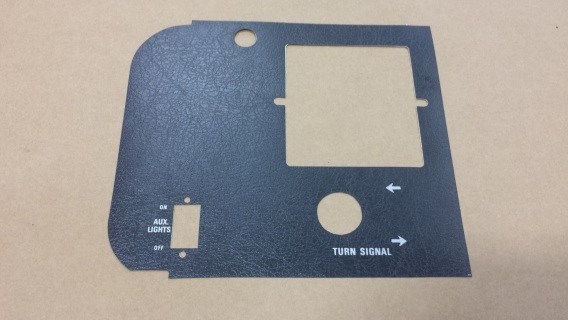 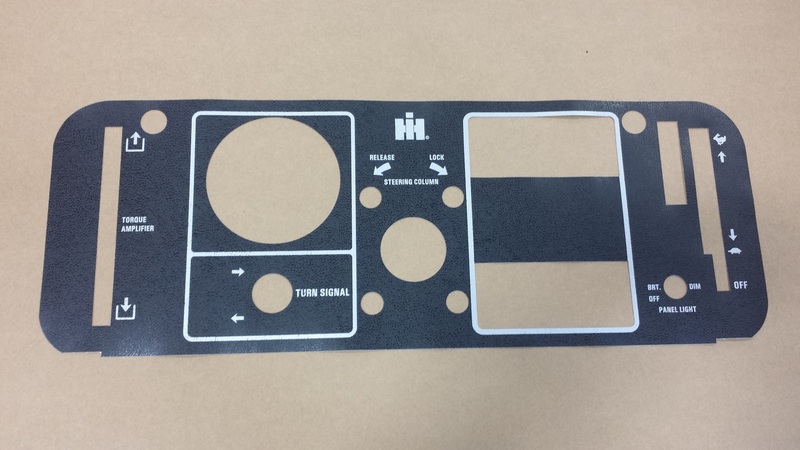 Left side tilt wheel dash decal for 3088 3288 3688 with round tach.